K L Rahul and Mayank Agarwal struck fluent half-centuries to guide Kings XI Punjab to a six-wicket win over Sunrisers Hyderabad in a nail-bitting Indian Premier League match on Monday (8). 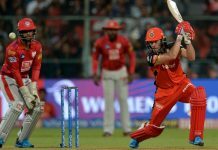 Opting to bat, Kings XI first restricted Sunrisers to 150 for four and then rode on Rahul and Agarwal’s knocks to chased down the target in 19.5 overs. Gayle struck a four and a six each before Deepak Hooda took a brilliant catch at long-on boundary off Rashid Khan’s (1/20) bowling to sent packing the West Indian. Rahul and Agarwal then complemented each other brilliantly as the duo mixed caution with aggression to literally take the game away from Sunrisers. A short delivery outside the off stump enticed Agarwal to go for an upper cut, which didn’t yield the desired connection and elevation but Pathan dropped a sitter at sweeper cover. But Sandeep Sharma (2/21) picked up two wickets — Agarwal and David Miller — in the 18th over to change the complexion of the match. 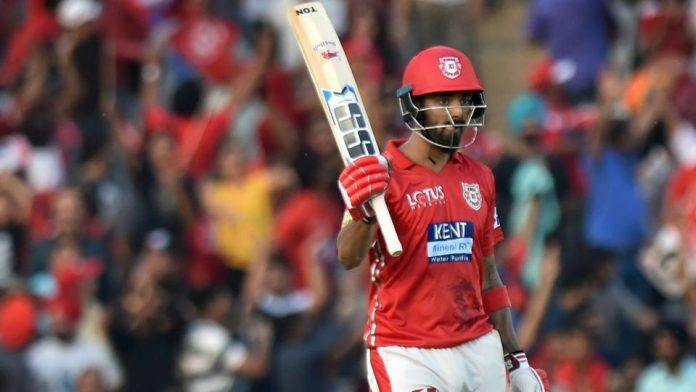 Kings XI needed 16 runs off the last two overs and the pressure got the better of new man Mandeep Singh, caught by Hooda off Siddharth Kaul’s brilliant penultimate over that yielded just five runs. 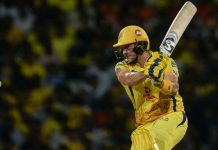 Opening the batting, Warner carried on his bat for an uncharacteristic 70 not out off 62 balls to anchor Sunrisers’ innings but it was Hooda’s unbeaten 14 off three deliveries that provided the late thrust to the visitors’ innings. Bairstow failed to control a flick off Mujeeb Ur Rahman’s (1/34) bowling as Kings XI skipper Ravichandran Ashwin took a smart catch at short midwicket in the second over.